If you are a dog lover like me, you may also be intrigued by wolves and their ability to organize their packs for hunting and community defense. 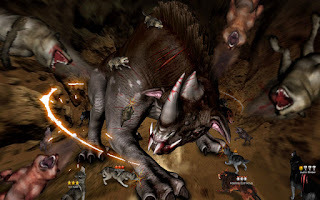 Those are the elements that 1Games built into Wolf Online, a multiplayer battle game that expands on the company’s popular Life of Wolf series. Wolf Online challenges players to raise their own personal wolf that has the skill to participate in past-paced hunting adventures but also to survive a war among three wolf species: Mountain Wolf, Snow Wolf and Wild Wolf. Each group has its own characteristics. The mountain wolves are harmonious, snow wolves are fast and wold wolves are the most brutal and aggressive. Enemies and prey range from rabbits and deer to tigers and bear and even include mythical creatures vampires, chimera and dragons. You can check out the 1Games website for a video preview and download Wolf Online for mobile devices in the iTunes App Store and the Google Play Store.